You spend lots of money on your rifle and optics, don't skimp on the link between them. Quality mounts and bases are a MUST for a serious precision rig. We carry the best, and the best values too. Vortex PMR rings, made by Seekins!! Just the thing for your any of your Vortex scopes 9and other brands too!) 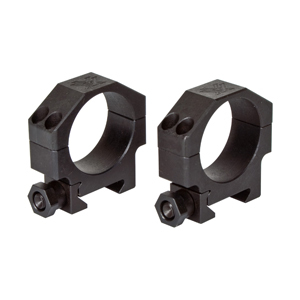 Vortex PMR Precision Matched Riflescope rings are alloy, sleek design that are made by a manufacturer you might recognize. Ready to go in 30mm, 34mm, and 35mm sizes! !